Hangul Day is celebrated October 9th in Korea to honor the institution of the Korean writing script, hangul 한글, by King Sejong in 1446. We'd like to share a bit about this unique writing system, which is a source of glee to many of the world's language enthusiasts. 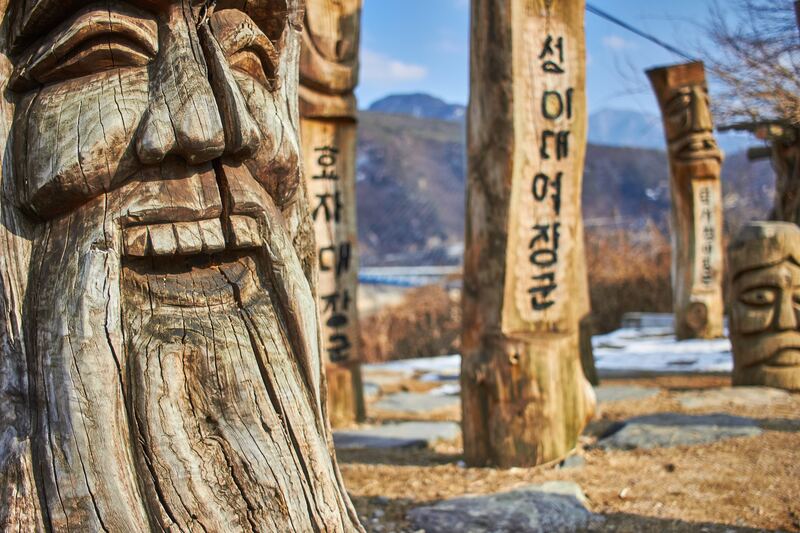 During King Sejong's rule, the majority of the people of Korea were largely unable to express themselves in writing because they had no written system of their own. Athough hanja [Chinese characters] were used by the elite classes, the Chinese characters were used to convey meaning, not the sound of the language. By inventing hangul and making it accessible to all, King Sejong made it possible for the masses to communicate through a written version of the language that they had all been speaking, thus giving them a greater sense of unity. So, how did a writing system created by a king become the standard writing system for a whole nation? The hangul writing system is made up of consonants and vowels, which combine with one another to create the syllable blocks mentioned above. Therefore, hangul is neither purely an alphabet nor a syllabary; rather, hangul is an 'alphabetic syllabary.' There are three main symbols that make up the vowels within hangul: a long vertical stroke (ㅣ), a long horizontal stroke ( ㅡ ), and a short horizontal or vertical stroke. These symbols then combine in different ways to create the main vowels, ㅏ,ㅓ,ㅗ, and, ㅜ . In addition, hangul can be written either left to right or vertically. Originally, the short stroke was a dot, so the symbols that made up the vowels (ㆍ, ㅡ, and,ㅣ) represented heaven, earth, and human being, respectively. So, how did this writing system spur on a celebration of its own? Well, it didn't happen overnight. When it was first introduced, the hangul writing system took a while to become familiar among the nation's inhabitants. 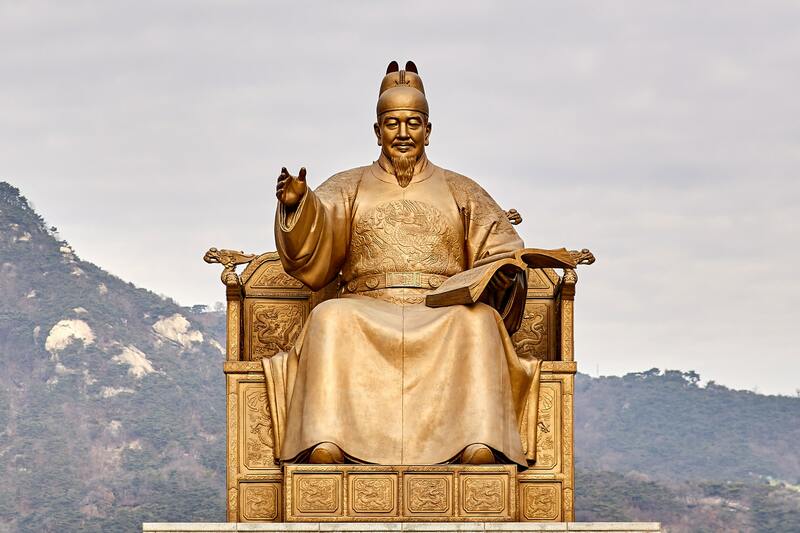 In order to convince them and help King Sejong reach his goal of literacy among his subjects, one of the court's linguists is alleged to have said, "A wise man can learn it in a morning, and a fool can learn it in the space of ten days." In addition, the king and his 'Hall of Worthies' produced Hunmin Jeongeum [Proper Sounds for Instructing the People], a guide to reading, writing, and pronouncing the hangul script. The nation's literacy rate increased from that point on and the writing system would soon become a part of Korean culture. As with any sudden change, the implementation of hangul was a slow process. Even into the 1980's, hanja [Chinese characters] was still used in newspapers and formal documents throughout Korea. Eventually, hangul became the main writing system used in Korea. Today, hanja is now much less used in Korean newspapers, and the teaching of hanja in schools has also declined. 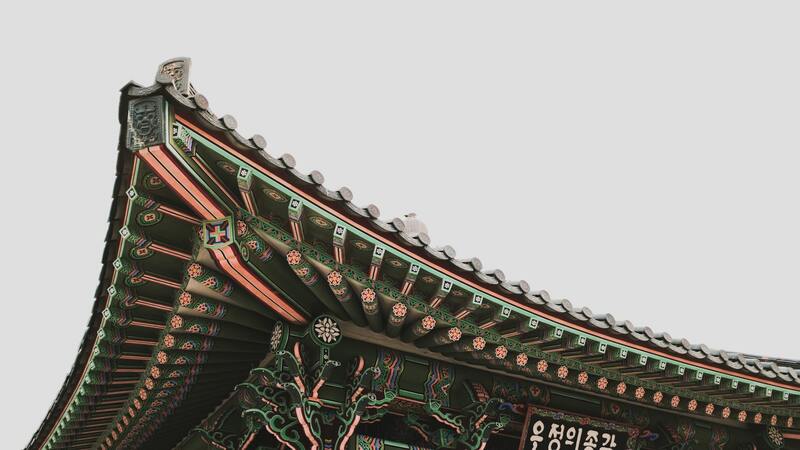 With the prevalence and popularity of Korean media throughout Asia and the rest of the world, Korean (and thus, hangul) is securing itself as a popular language to learn. If anything, the writing script will continue to mesmerize language enthusiasts and Koreaphiles alike. 합피 한굴 다이! 'Happi Hangul Daee' [Happy Hangul Day]! If you'd like to see hangul in action, in phrases that you can use in everyday coversation, click below to start learning Korean with Mango. Do you celebrate Hangul Day? What is your favorite writing system (real or fictional)?